La Grange-Charles Julian Barwick, 64, was called to his heavenly home on Friday, November 9, 2018. Charles was born on April 12, 1954, in Lenoir County and was the only son of the late Charles Henry Barwick and Evelyn Sutton Barwick. Set up on a blind date, Charles met the love of his life nearly 40 years ago at Ace Hardware. Charles and Deborah married on July 20, 1979 and created a happy home for their greatest surprise, their son, C.J. As the years have come and gone, Charles remained Deborah’s cheerleader and best friend. With over 25 years of employment with Goldsboro Milling, Charles enjoyed his work as a truck driver. Early on in life he acquired an appreciation of big trucks and went from driving 10-wheel to 18-wheel tractor-trailer trucks. Even in high school Charles’ love of big vehicles was apparent as he drove a school bus for La Grange School. In his younger days he enjoyed being out in the field in a tractor or a combine while working on the farm. Charles was a hard worker throughout his life. 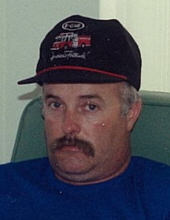 A dedicated community servant, Charles served many years with the Sandy Bottom Fire Department. Charles was happiest when he was outdoors. C.J. and Charles could spend hours on the water fishing together and would jump at the opportunity to ride four wheelers. Early in their relationship, Charles would take Deborah out into the fields to hunt but soon discovered she’d rather be reading a book, which was a bit too noisy for the task at hand. So, Charles took to hunting alone and could spend hours watching for deer, ducks, and doves. Charles accepted Jesus as his Savior on August 5, 2012. He will long be remembered for his love of Jesus, strong work ethic, appreciation of nature, and the mustache he would never shave because his daddy liked it. A service to honor Charles’ life will be held Friday evening, November 16, 2018, at 7:00 pm, from Hickory Grove United Methodist Church. Charles is survived by his wife, Deborah Shimer Barwick; a son, Charles Julian “C.J.” Barwick, Jr.; and a granddaughter, Kaley Barwick. Family and friends will be received Friday evening following the service. Memorials in Charles’ memory may be made to Mercy Ships, an organization that Julian was passionate about, at P.O. Box 2020 Garden Valley, Texas, 75771. Online condolences may be expressed at www.rousefh.com. Arrangements are entrusted to Rouse Funeral Home, La Grange. To send flowers or a remembrance gift to the family of Charles Julian Barwick, please visit our Tribute Store. "Email Address" would like to share the life celebration of Charles Julian Barwick. Click on the "link" to go to share a favorite memory or leave a condolence message for the family.